Earlier this week, pockets of the internet spiraled after a news piece claimed that Twitter’s CEO Jack Dorsey said the platform would be eliminating the like feature “soon.” (It’s not.) But Twitter has said that it’s working on some new things that it might or might not roll out to all users down the road, like user statuses and restructured replies. On Wednesday, the company announced that it is also testing a button that would allow users to switch between an algorithmic timeline and a chronological one. (A timeline where tweets are sorted by a computer versus a timeline where they are shown in the order they were tweeted.) The feature is currently available to all Twitter employees and select users. Once upon a time, Dorsey got himself into some hot water after asking his Twitter followers to tell him the most important changes the platform should make in 2017. The top responses? Deal with the Nazis. To which, Dorsey replied, “We’ve been working on our policies and controls. What’s the next most critical thing?” Which, for obvious reasons, didn’t ingratiate him to anybody, except maybe Nazis. But if you pretend for a moment that we live in a world where there are no Nazis on Twitter (or in Germany, where Nazis are banned from the platform under national law) and you asked Twitter users what they wanted to see fixed, the chronological feed would likely be a top reply. (The platform has been pushing the algorithmic feed since 2016, to much flak. 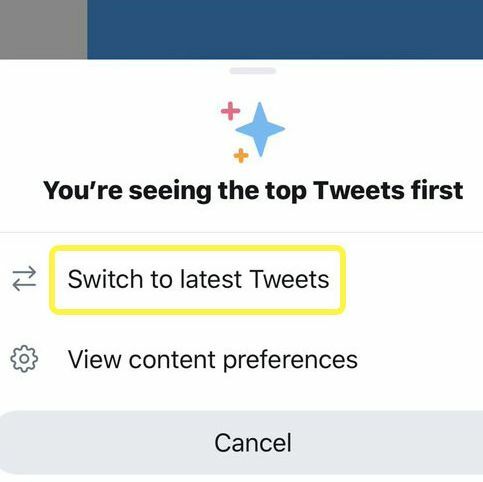 Earlier this year it started letting users view tweets chronologically, but you’ve got to dive into your settings to change that at present.) Which is to say, Twitter did something [gulps coffee] good. Or at least it might. No word on when or if the chronological toggle will be available to everybody.